About us: WeCare Mortgages is a Dutch mortgage broker. From origin we have a Dutch nationality and have gained a lot of experience in the international market in helping foreign (mostly dutch) clients getting a mortgage in Spain. Since 2004 we have been active as a mortgage broker in Spain. Under our guidance hundreds of people have taken out a mortgage to great satisfaction. Now the time has come to grow further across the borders to reach an even larger public to advise and assist them in taking out a mortgage. Our name WeCare Mortgages says exactly what we do: we care about our customer finding a suitable mortgage. During a period of 4 to 8 weeks we have intense personal contact throughout the whole procedure, until the moment of signing at the notary. The new home owner can enjoy his or her dream home without any worries. And of course always contact us if there are any questions or when circumstances have changed! Every day we work with great enthusiasm and commitment to answer all the questions and go behind the scenes of the Spanish mortgage process in the customer’s interest. You will be fully supported, with personal guidance and efficient handling of the application. The WeCare Mortgages team consists of multilingual advisors. This way you can easily contact us and explain your situation. We communicate with the banks in Spanish and provide feedback to you in English or your own language. You can reach us by telephone and email on Monday to Thursday from 09.00 to 17.30. On Fridays from 09.00 till 15.00. We do not have siesta, we are open the whole day. 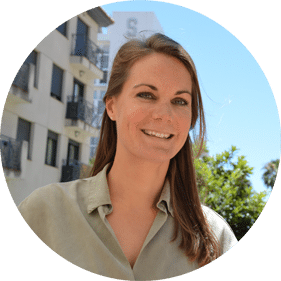 Saskia is originally from the Netherlands, born in Nijmegen, and almost immediately after her studies in managment and business she emigrated to the south of Spain. With her experience as a financial adviser, she is successfully running her own business in Spain. Besides all the hustle and bustle of entrepreneurship, Saskia spends her free time on yoga. The most important characteristics for success in her life are authenticity and following her intuition. Saskia is very energetic, cheerful and creative. She loves adventure in her life and variety in her work. Mail Saskia. Martin is Malagueño from origin and grew up in Venlo the Netherlands. He speaks Dutch and Spanish fluently and decided to return to Málaga after his studies. 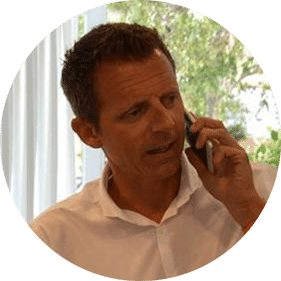 Previously to WeCare Mortgages, Martin worked for more than 12 years with the Spanish bank Sabadell Solbank, the last 3,5 years as a director of the local office. With his useful knowledge and experience he has been working with WeCare Mortgages since May 2016.